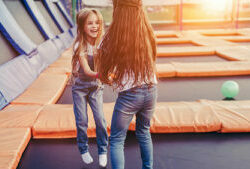 Whether you’re a kid or an adult, seasoned professional or novice, our trampoline park will thrill and entertain you. The park features a freestyle court, dunk hoops, dodgeball court, and programming with fitness classes, parties and open play. Our new 3-story ropes course features two separate ziplines perfect for ages 6-12, who will be able to ascend to comfortable heights without the need of a chaperone. The ropes course can accommodate 50 climbers at one time. Duckpin Bowling is a variation of standard bowling. It features smaller balls (about the size of a softball) that are lighter and have no finger holes, and pins that are shorter, smaller and lighter. It’s not quite as easy as it sounds…that’s why you get three rolls per frame! Silverlake features the Tallest Clip ‘n Climb in the United States. Astroball, Dark Tower, Face-to-Face, Red Square, Stairway to Heaven, Twister and Velcro…these names will all take on a new meaning when you experience this incredible attraction. The Adult Gaming Area features the World’s Largest PacMan, Golden Tee, Shuffleboard, and a Golf Simulator! HD Golf™ delivers visually stunning, ON-DEMAND golf, with a level of realism incomparable to any competitive system. Let the screen wrap around and pull you into a golfing environment so vivid, real and engaging, you’ll want to apply sunscreen. Our full-service bar and grill features fast-casual food and adult beverages. It’s a great place to have lunch or dinner with the family, or just kick back while the kids enjoy the new attractions. Toddler Village and My Town™ promotes hands-on experiential learning for children to learn how people live and work together to create a city that thrives. Children will have the opportunity to role play different occupations and practice everyday life skills. We have something for the whole family to get active, have fun, and live a healthy life together. Along with our fitness center, cafe, outdoor water park, indoor aquatics center, social events, classes, gymnastics, taekwondo, and more...we've now added our Active Entertainment Center. It's 55,000 sq. ft. of fun for all ages! Our members only club brings together State-of-the-Art Fitness, Programs and Family Fun! 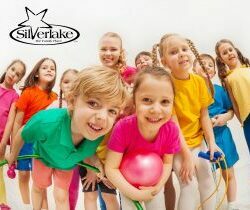 Check out all that Silverlake has to offer! Silverlake has such a great family environment. 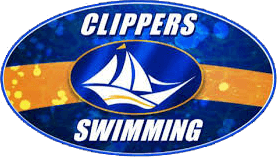 We love the pool in summer above all else, but the indoor facilities are great too, and the staff is amazing. Seriously a fantastic family place. I had my children’s birthday there over the weekend and it was great! The whole party was entertained, children and parents! The staff did a great job! It was our first time there and it will not be our last!